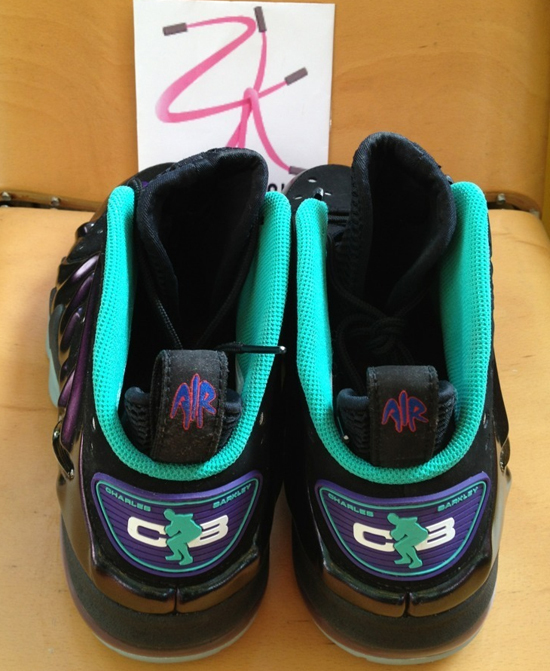 The Nike Air Max2 CB '94 gets another updated look. 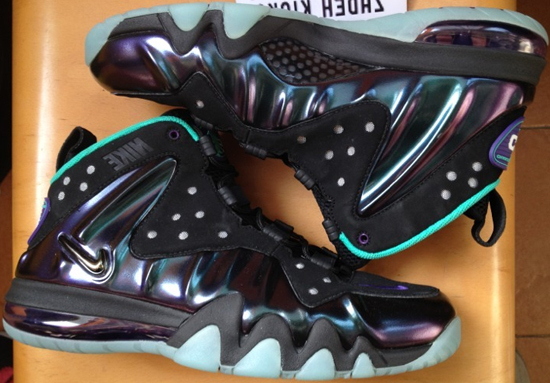 This is the all new Nike Barkley Posite Max. Check out the auction here. 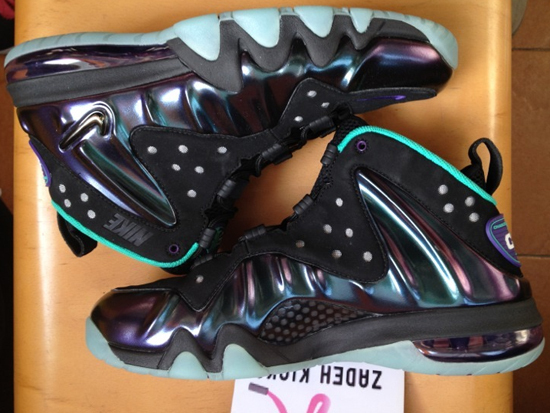 The Nike Barkley Posite Max combines the Nike Air Max2 CB '94 with the Nike Foamposite. 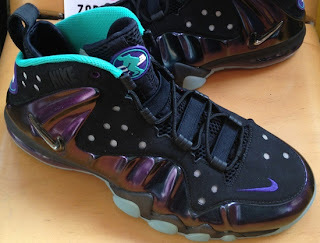 Coming in a nice "Aqua" like colorway featuring a black-based nubuck upper with purple Foamposite and teal accenting the sockliner. 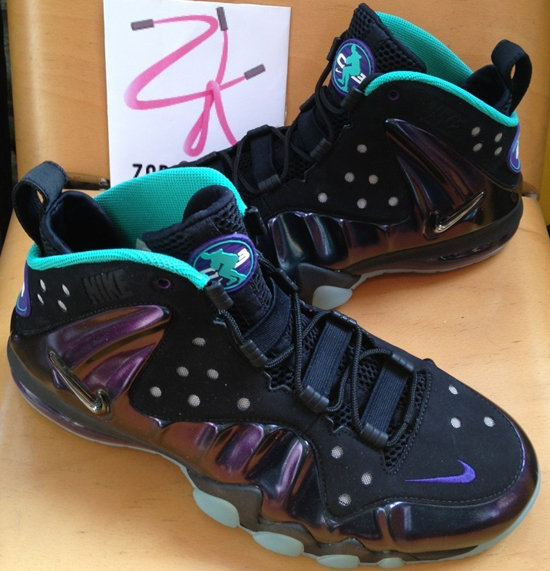 A glow-in-the-dark outsole finishes these off with "Not A Role Model" written on the bottom along with Barkley logos found on the tongue and back heel. 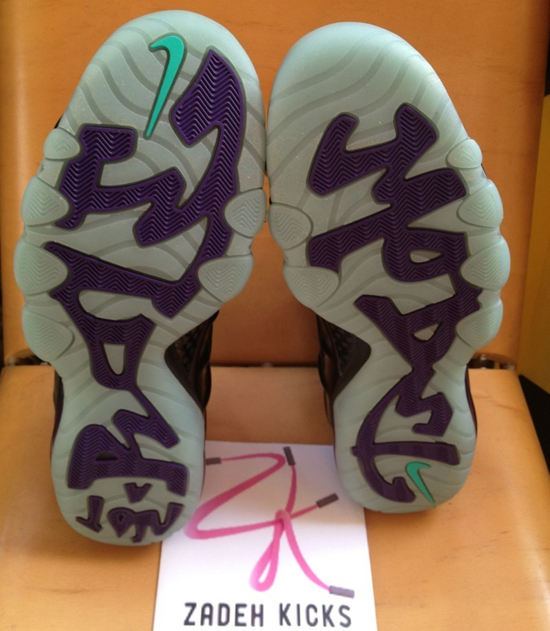 These are set for a limited release in March of 2013 with a retail price of, $235. Enjoy the images below and expect more information and images as we get into 2013 and closer to their release date. 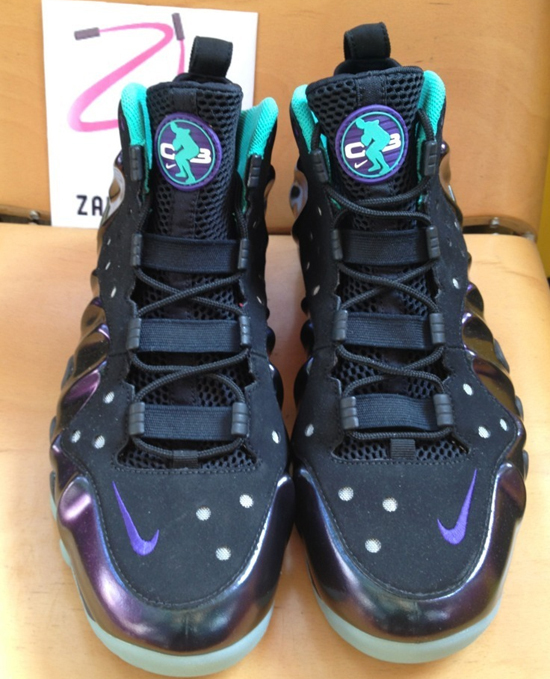 If you're a fan of the Nike Barkley Posite Max and would like to have a pair early, click here to buy them on eBay.